Free shipping for all you peeps. 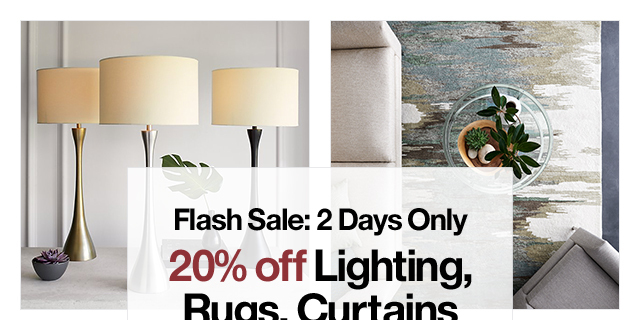 *20% off Lighting, Rugs, Curtains and Pillows: Excludes lighting by ARTERIORS, Currey & Company, and Robert Abbey; light bulbs; bath rugs and door mats; curtain hardware; and clearance items. Cannot be combined with any other offers or promotions, except free shipping (where applicable). July 1617 only. 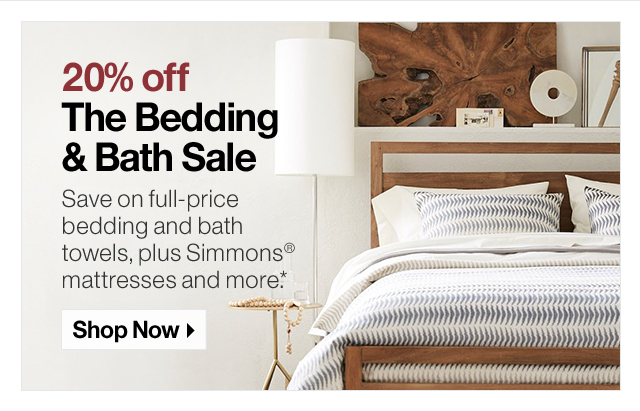 *20% off The Bedding & Bath Sale: Excludes lighting by ARTERIORS, Currey & Company, and Robert Abbey; light bulbs; bath rugs and door mats; curtain hardware; and clearance items. 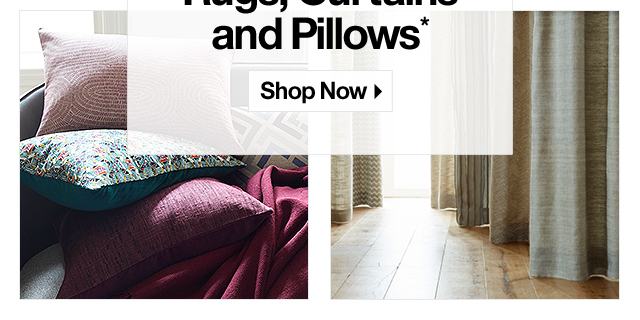 Cannot be combined with any other offers or promotions, except free shipping (where applicable). July 1617 only. To make sure our email updates are delivered to your inbox, please add crateandbarrel@mail.crateandbarrel.com to your email Address Book. To unsubscribe from our email list, just click here. The Spring Dining Event ends TODAY. Starts Now: Wusthof Cutlery Sale. Last call: Your exclusive offer ends today. 20% off: Party-ready outdoor plates, wine glasses and more. Because we miss you! Here’s 15% off. 3 ways to fall in love with your bathroom.